Did your Tamales lost sense of taste when you reheated it? 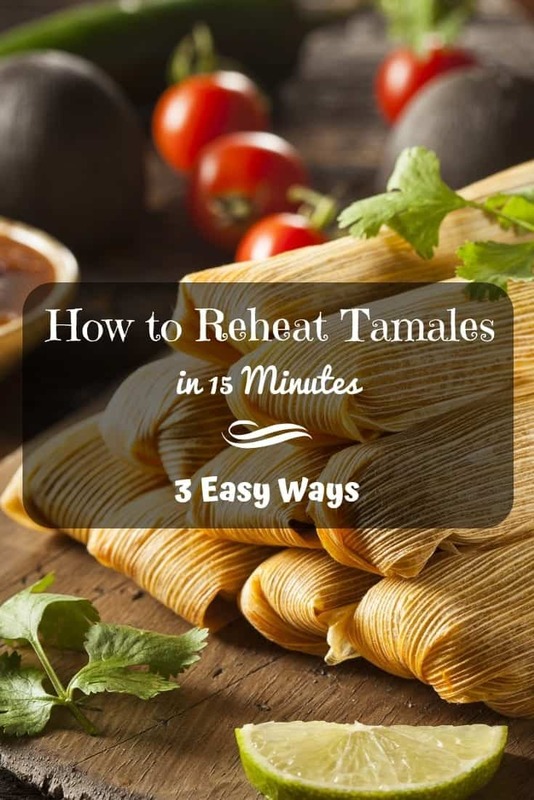 There are various ways of reheating tamales but I’ll show you how ways to have it in 15 minutes or less. Here are 3 ways on how to reheat tamales that will make you want it again. This is the quickest method among these three methods that I’m going to show you because it basically requires the least preparation and materials. If you plan for your tamale to be a quick bite and take the tamale on your way out, this method may prove to be the most convenient for you. Be warned though, this method works usually makes your tamales drier than it normally is but the taste is very much preserved. If your tamales are wrapped in aluminum foils, remove these wrappings and just leave the corn wraps unwrapped. Wrap each of your tamales using a damped tissue. Make sure that your tissues are well damped so as not to catch fire when placed inside the microwave. Place your tamales inside the microwave-safe bowl. Put a final damp tissue cover over the tamales before putting them inside the microwave. 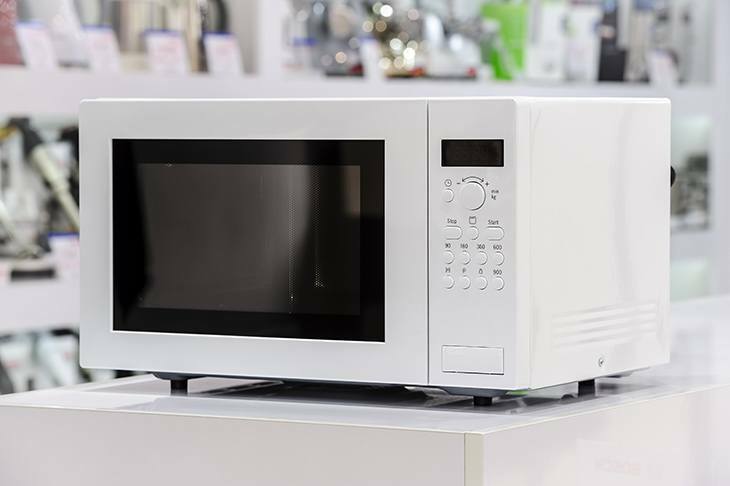 Set the microwave timer to around at most 1 minute but greater than 30 seconds or 1 minute. Allow around 30 more seconds before removing the heated bowl since it could be very hot. Use mittens to remove the bowl. If your tamale turns out very dry, you must have taken too much time to reheat it. Lessen the time and dampen the wrapping tissue even more. The tissue serves as a compressed steamer when used inside the microwave. To prevent uneven heating of tamales when using the microwave, I usually just reheat two or three midsized pieces. If you want to mend a large bunch of tamales that was unevenly reheated, turn over each one so as to face another direction of the bowl. This will help the microwave heat the other sides and parts. If you want to reheat your tamales and retain the same squishy feel or want it to be more moist as it was served, then this method is for you. This method is also best for those who are afraid to overheat the tamale, with a steamer, you can never go wrong. It is very difficult to go wrong with this one. 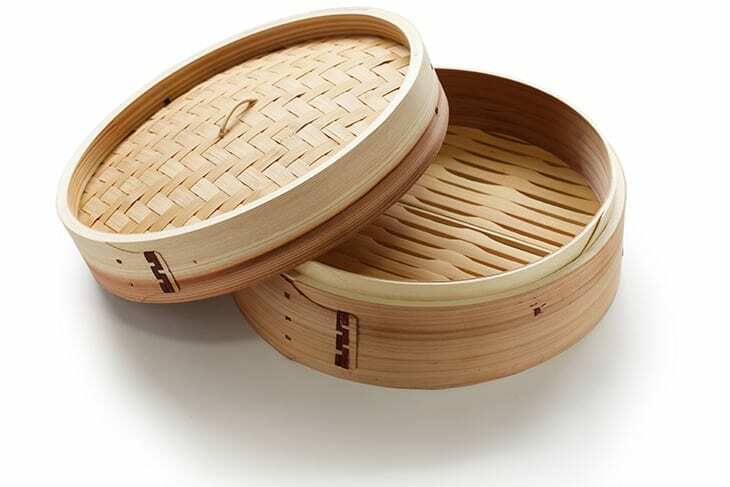 Steamer rack – I prefer bamboo steamer rack gives it an additional fragrance but any steamer rack will do. 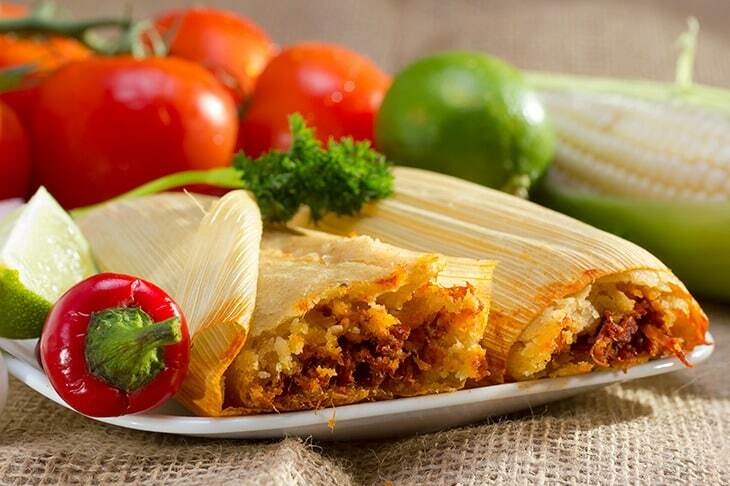 Thawed Tamales – if your tamales is not yet thawed from being frozen, you can use a microwave’s thaw function. Ready your steamer with water at the mid-level. Set the steamer into high to quickly heat the water. Unwrap your tamales from any non-organic wrappings. To hasten reheating, cut your tamales in two shorter halves. 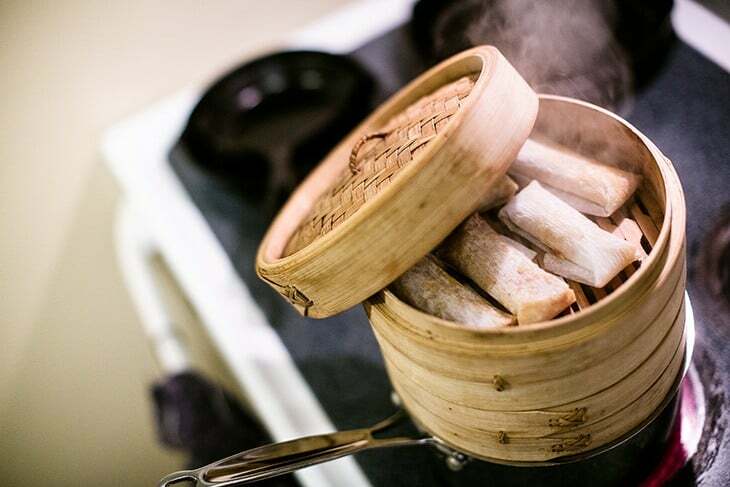 Arrange your tamales by standing them up in your steamer rack with the cuts or open portions facing up. Once the steamer is boiling, place the steamer rack on the steamer. Cover the steamer with its lid and try not to open it until it’s ready. Opening the lid of the steamer pot allows escape of steam which reheats your tamales. Steam your tamales for 10-15 minutes. To quickly thaw frozen tamales, use a microwave’s thaw function. If you do not have this function, it is just heating it using mid heat for 30-60 seconds. If you do not have a microwave to that your frozen tamales, you may proceed with this method but increasing the time to 10 more minutes for the thawing from its frozen state. 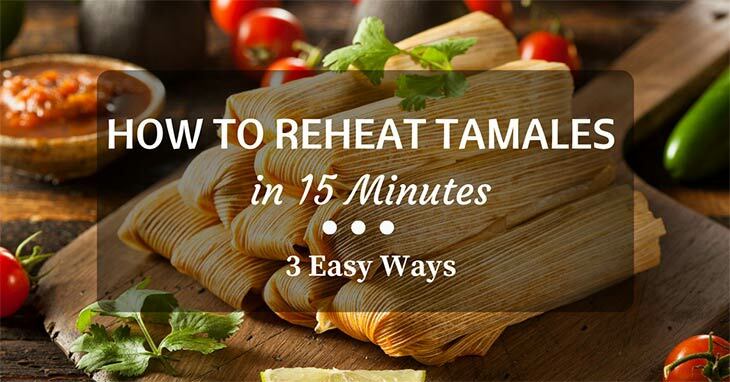 How to reheat tamales in 15 minutes (3 easy ways). Here is another #kitchentip that will make everything just a bit tastier. Use this method if you want to have a different texture of your brought-home tamales. I have friends who only eat fried tamales. This method alters some of the delicate taste of your tamales mostly from the added oil that soaks up the tamales. There is also a big room for overheating but when done properly, you will result in having a well-balanced crunchy on the outside, soft on the inside tamales. 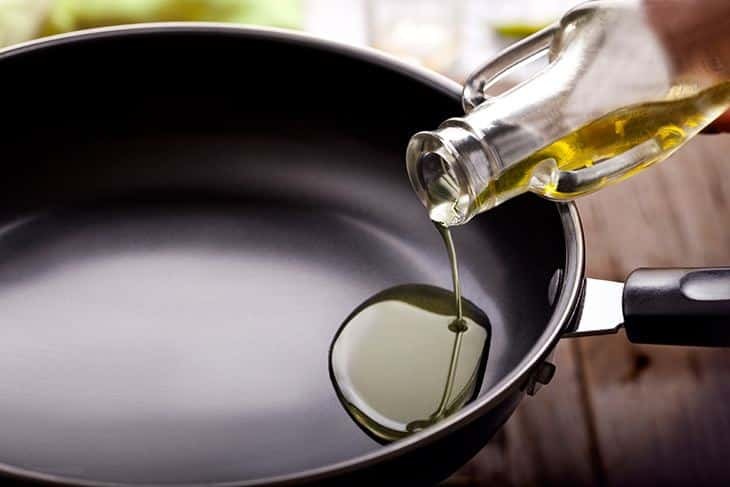 Ready your fryer by placing your cooking oil in it. Make sure to put enough oil so as to submerge the full width of your tamales in it. Set the fire or temperature to mid heat level to keep your already cooked tamales from being overcooked. Remove the corn husks of the tamales and have them ready for frying. Once the oil is heated just enough for about 3 minutes, slowly drop the thawed tamales into the pan. Reheat the tamales for 2-3 minutes. Remember that these tamales are already cooked and just needs reheating, not re-cooking. Turn off the heat after two minutes and use the remaining heat to the tamales. Remove the fried tamales from the oil on the third minute and put them on your strainers to drip out the oil. Use your tongs as these tamales are hot to touch. Feel the tamales to make sure they are already crisped on the outside. After a minute of dripping, wrap each one in paper towels to remove excess oil. Be careful not to overheat the oil before placing the tamales. It is better to place the tamales while the oil is not yet in its hottest. This keeps oil from interacting violently with the moisture causing minute bursts that can make oil splash out into your skin. If you want your tamales crunchy on the outside but soft on the inside, deep fry your tamales without thawing it out completely. After you can see that the outside is well fried for about 3 minutes, take it out. If you eat it this way, the inside of your tamale will still retain the moisture that has not yet escaped. Did this tutorial helped you enjoyed your tamale even more? Send us some love and share this tutorial to your friends. I don’t find any singular best method for reheating tamales since it depends on your availability, your available tools, and the kind of tamales that you want to end up with. If you just want a personal quick bite of a couple of single tamale, the quick dry method should work best for you. If you are into preserving the original feel, moist and taste of a bunch of tamales and have ample time to prepare, you should go with the steam method. But if you are into want to reintroduce your tamales with a twist, you may want to deep fry so you can give it a new texture. What matters most is that you enjoyed the tamale after reheating it. 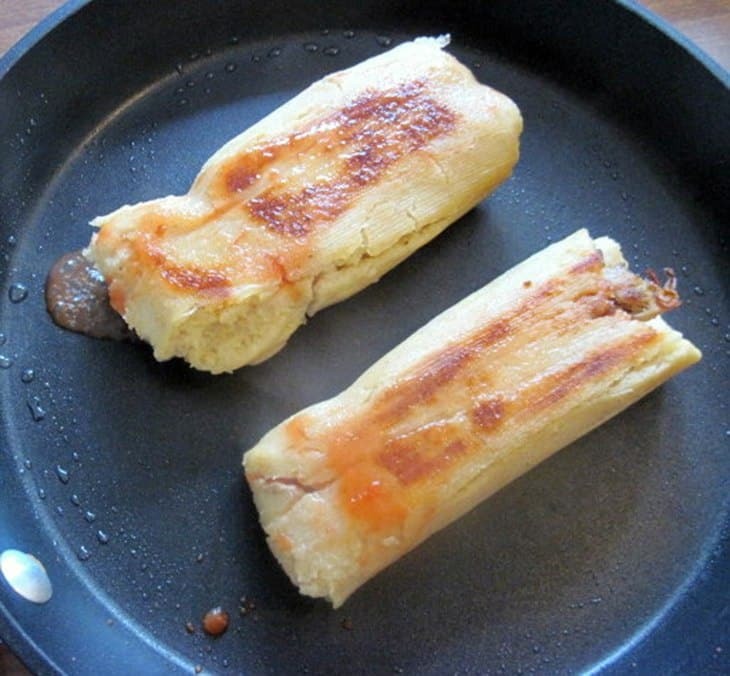 If you have other ways of reheating your tamales, tell us about it in the comments section.